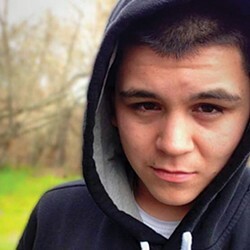 Known as a thoughtful, mature kid, Richie began struggling with mental illness after his sophomore year in high school. 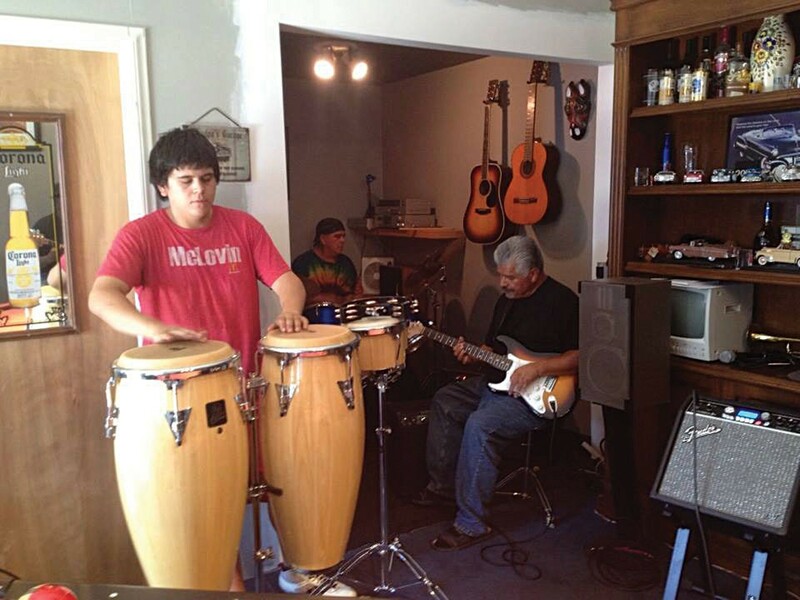 Richard Estrada talks about his health in a multi-media project recorded in 2013. A Native American folk tale Richard Estrada recorded for KIDE FM in Hoopa. When the phone rang at California Highway Patrol Officer Tim Gray's Willow Creek residence at 1:41 a.m. on Dec. 18, 2014, a dispatcher asked him to respond to a single car accident nearby, but he wasn't told the car involved had been reported stolen almost six hours earlier. When he arrived at the scene to find a wrecked blue Nissan Sentra near a snapped power pole, he didn't know the driver — Richard Frederick Tis'mil Estrada — had been the subject of a frantic 911 call the night before. 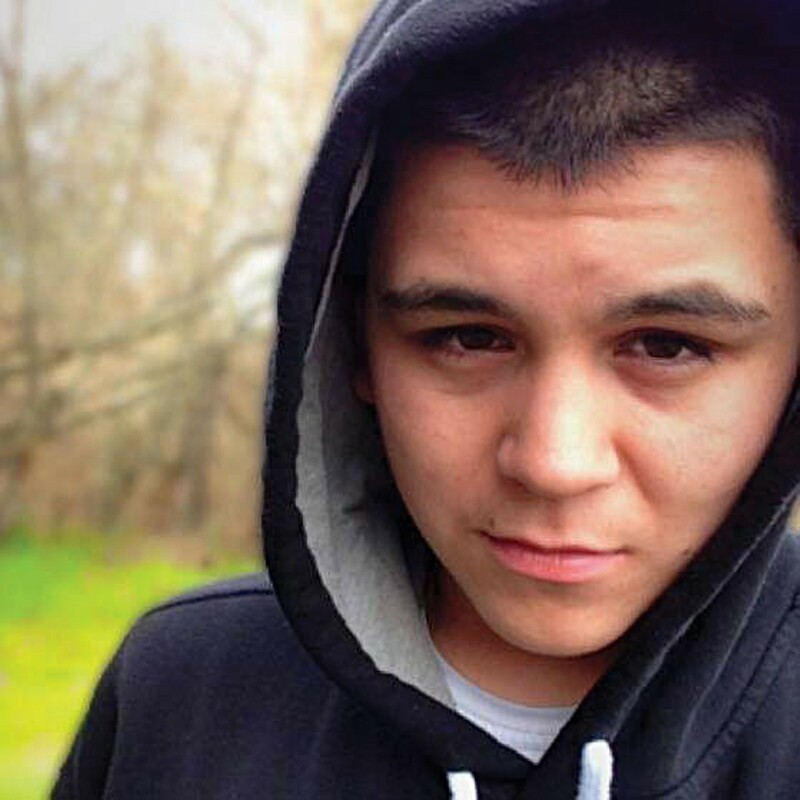 When Gray got out of his patrol car and casually approached Estrada, he had no idea the 17-year-old from Hoopa was bipolar and in the midst of a manic — and potentially psychotic — episode. 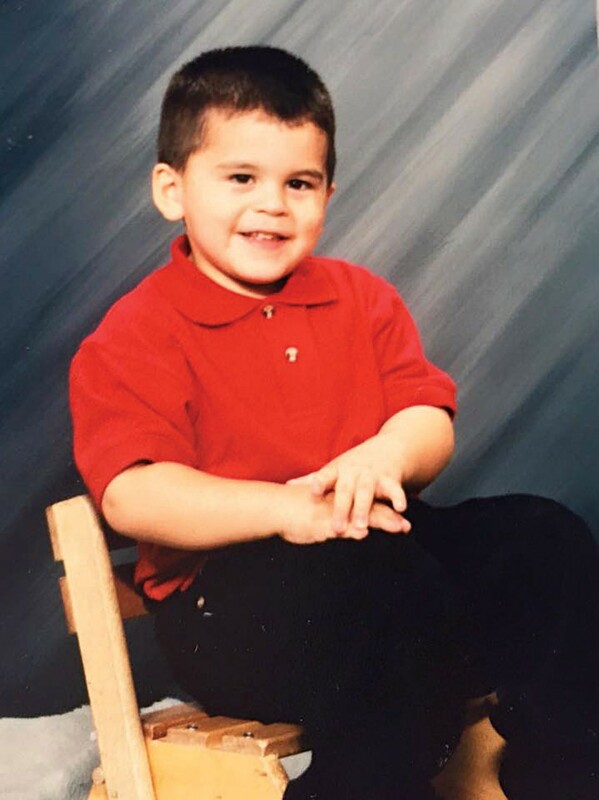 He didn't know Estrada's family had tried to have him admitted to a mental hospital the day before, or that his behavior had grown increasingly erratic and worrisome. Had Gray known all this, the outcome that morning may have been different. 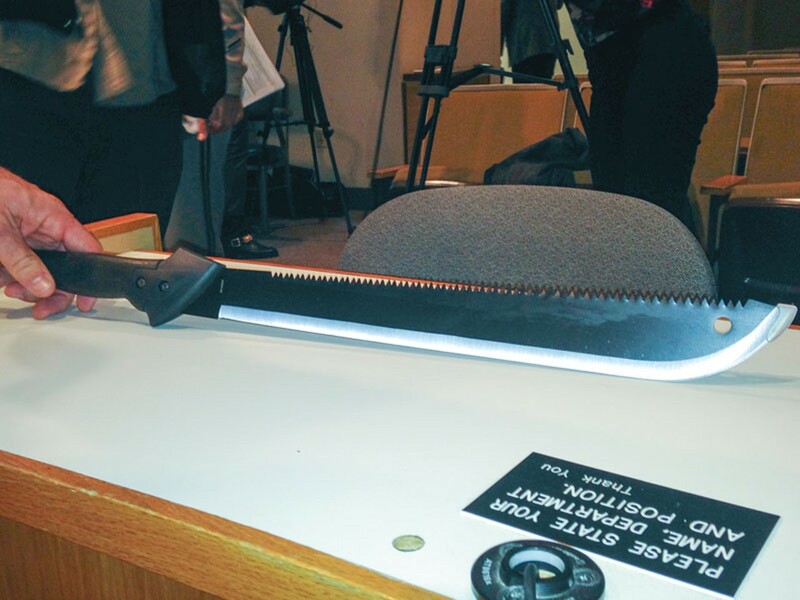 Richie may not have raised a machete and attacked Gray with it, catching him off guard, as officials allege. Gray may not have lost a finger on his left hand, broken his arm and suffered facial lacerations. He may also not have raised his gun and fired 11 times, shooting Richie in the head, torso and arm. The teenager may not have died on the side of State Route 299 that morning, and the 30-year-old officer's life may not have been forever altered. Earlier this month, Humboldt County District Attorney Maggie Fleming issued a three-page report announcing she won't be charging Gray in the case, concluding that the officer had feared for his life and acted in self-defense. While the report is thorough and includes numerous witness accounts, it raises as many questions as it answers. Similarly, hours of interviews with Estrada's family paint a detailed and nuanced picture of a young life filled with promise but plagued by the onset of mental illness. Why did a tight-knit family that seemingly tried so hard to find Richie proper care get so little support? "I don't think there's a whole lot of blame to any one person," said Gerald Drucker, a licensed psychotherapist who saw Richie weekly until his death. "It's a system failure. He fell through a whole lot of cracks." By all accounts, Richie was a good kid. 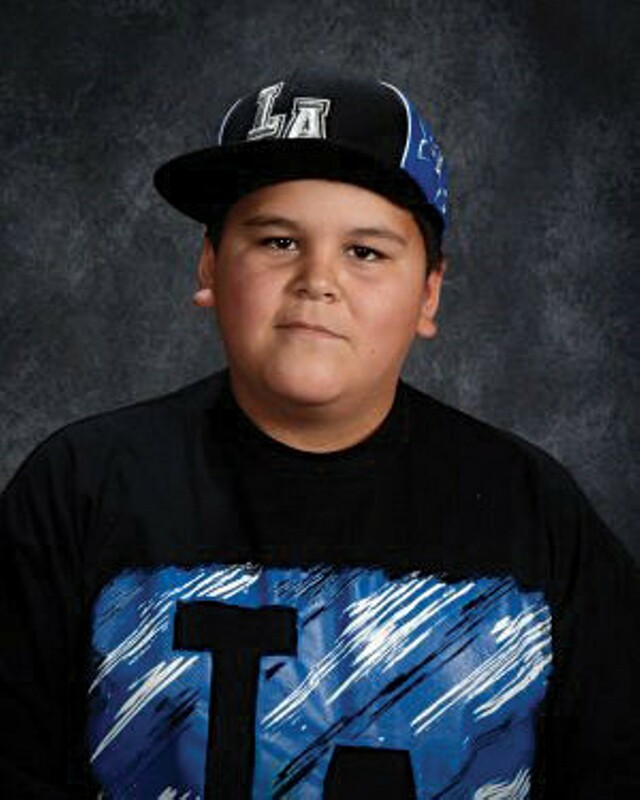 He had perfect attendance in school, where he was on the honor roll and named valedictorian of his eighth grade class. 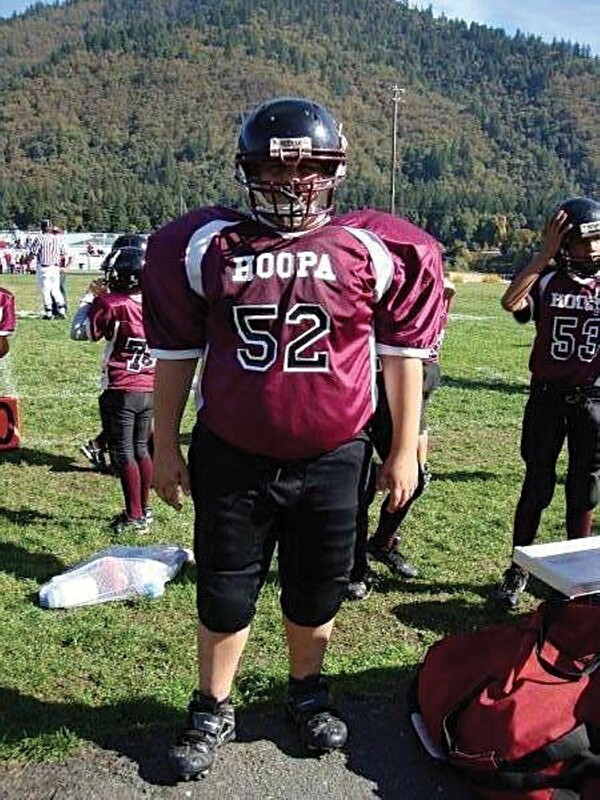 His peers voted him president of his freshman class at Hoopa High School. He had a summer job at the radio station, where he recorded public service announcements and tribal stories, often showing up early and leaving late. He stuck up for his sister and took care of his grandmother. "He was the one who swept my floor, who made my bed, did my wash," Michele McCardie, Richie's grandmother, recalled recently at her daughter's home. 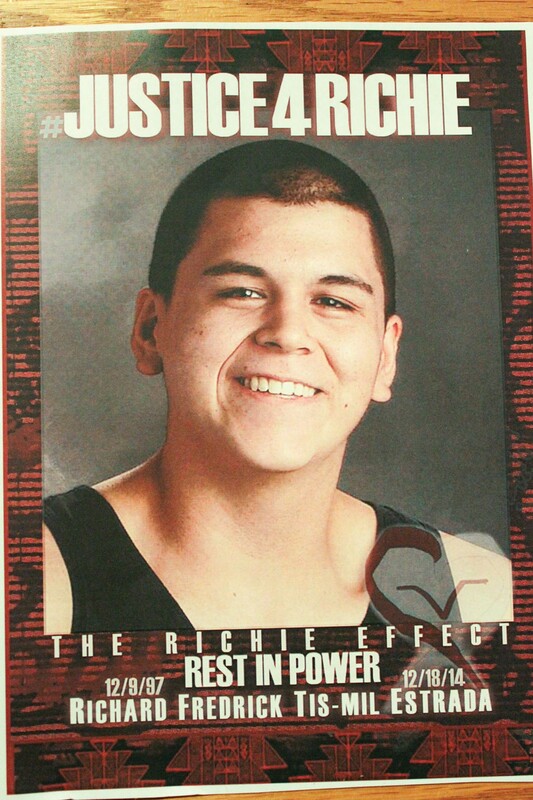 Richie was socially adept and confident, whether with adults or his peers. He ran in multiple circles and was "very popular," according to Joseph Orozco, the station manager at KIDE FM who said Richie would have made a good producer, that he "knew how to put together sounds." John Pinto taught Richie math, science and social studies over the course of two years at Trinity Valley Elementary and remembers him fondly as a thoughtful, good-humored and peaceful kid. He recalled one day when he found a pile of graduation announcements on his desk. "Among those announcements, I received a letter from Richie that thanked me for my dedication and my patience through the rigorous academic work," Pinto said in an email to the Journal. "This kind, respectful regard shined bright in my heart. It is rare to receive a thank you from a middle school student, especially a heartfelt letter of gratitude. But that's something Richie would do." Richie's mother Leanne Estrada said her son was a born mediator. "When his friends had problems, they went to him," she said, adding that Richie was also prone to giving friends clothes and shoes from his closet. "We have many people in our community who believe his voice was that of our ancestors." Carleana, Richie's twin sister, said she used to tell him, "I wish other guys our age were more like you." 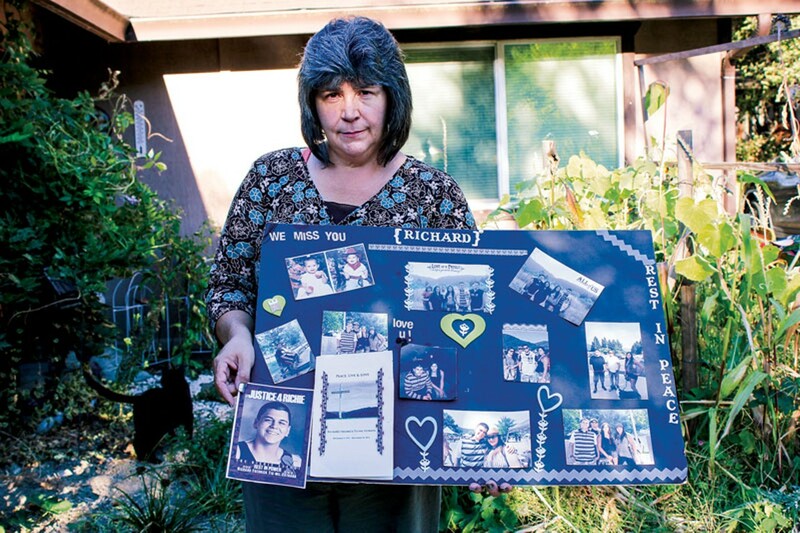 Leanne Estrada said from the day he and Carleana were born — Dec. 8, 1997 — Richie was different. "His personality was so strong, so intense," she said. "From the time he was crawling, he was just so determined." 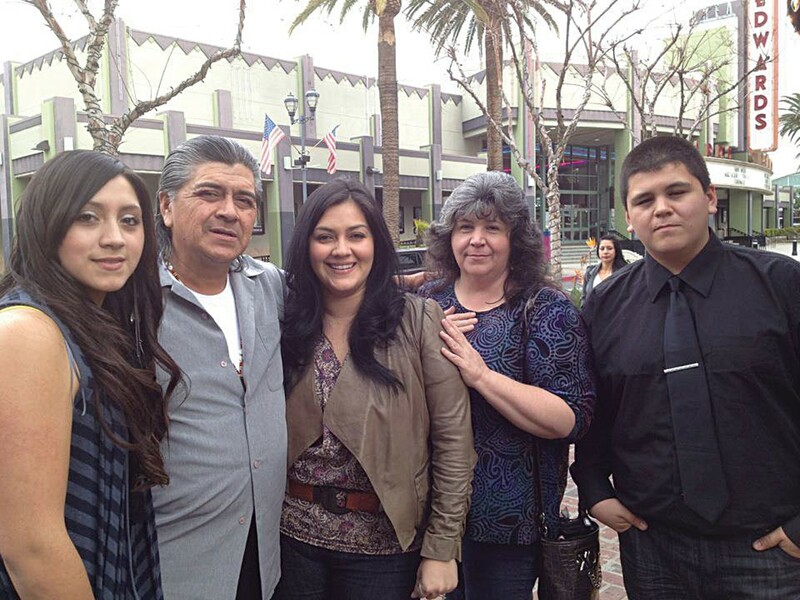 Born to Leanne and Carlos Estrada in Los Angeles County, Richie moved to Hoopa when he and Carleana were 2. Leanne wanted to get them and their two older siblings, Carlos Jr. and Celina, out of the city and back to the land where she'd grown up. Leanne swapped her job as a children's social worker in LA to become a counselor in the Hoopa tribe's social safety net program. Richie, Leanne said, took after his grandfather, LeRoy McCardie, a strong-willed man who was the Humboldt County Sheriff's Office's first Native American deputy. Richie even wanted to be a cop, Leanne said, until he injured his spine lifting weights as a freshman, ending his short athletic career. But Richie seemed to adapt well to the injury, Leanne said. He was often in pain, but he dedicated himself to studying health and decided he wanted to be a doctor. For a digital storytelling workshop put on by the tribe in 2013, Richie described his new goal. "It makes me happy to make people happy, as if I was born with helping hands," he said. 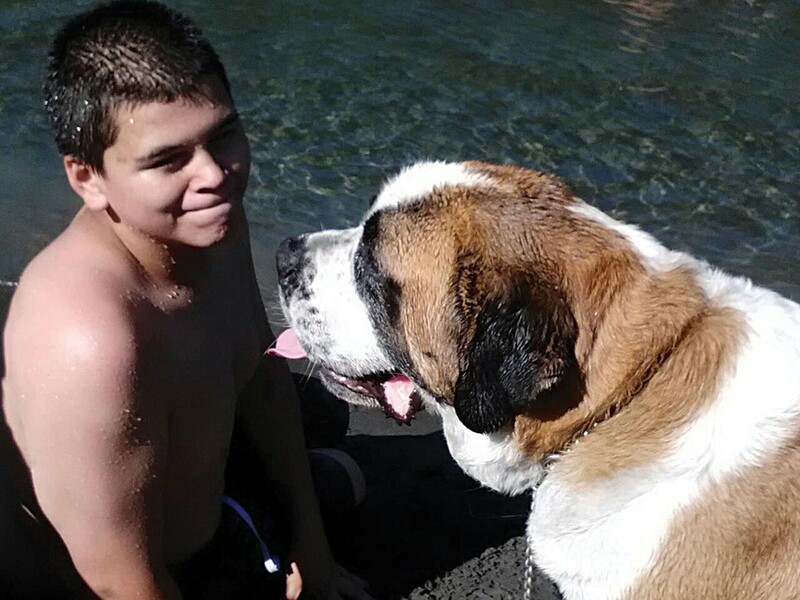 But things began to change in early 2014, when Richie started to withdraw at school. He'd be respectful and engaged in the classroom, Leanne said, but he stopped doing his homework and studying. At first, Leanne said, she worked with teachers and counselors at the school, trying to get Richie to re-engage. When that didn't seem to be working, she knew something was wrong. Carleana was diagnosed as bipolar while she and Richie were in fourth or fifth grade, and their father had long dealt with the illness, so the concept of mental illness was not foreign to the Estradas, nor were the challenges of navigating networks of care. When it became clear to her that whatever Richie was going through was more than a funk or a teenage phase, Leanne said she worked aggressively to try to get care for her son, but found services difficult to access. "And I had money, I had insurance," she said. After several months of looking — in July or so of 2014 — Richie began seeing Drucker, who primarily practiced on the coast but had spent a couple of days a week working in the valley for almost 20 years. Reached by phone recently, Drucker said he felt an instant fondness for the kid. "I can tell you that losing Richard really affected me because he was a beautiful guy," he said. "He was a good boy in every sense of the word." Bipolar disorder, formerly called manic depression, is a brain condition that causes severe and unusual swings in mood, energy, activity levels and the ability to perform basic tasks. Someone suffering from the illness often fluctuates between cycles of mania (joyful overexcitement) and depression (sad hopelessness), but the illness also manifests in what are called mixed episodes, where someone will feel agitated and excited but brooding and despondent. In some cases, the episodes can be accompanied by psychotic symptoms, too, causing hallucinations or delusions. "The psychotic symptoms tend to reflect the person's extreme mood," reads a report by the National Institute of Mental Health. "For example, if you are having psychotic symptoms during a manic episode, you may believe you are a famous person, have a lot of money, or have special powers. If you are having psychotic symptoms during a depressive episode, you may believe you are ruined and penniless, or you have committed a crime." Drucker assisted with getting Richie diagnosed, but he's not a psychiatrist and isn't licensed to prescribe drugs or order and evaluate blood work, all of which can be crucial in treating bipolar disorder. "For someone with psychosis, psychotherapy can be helpful, but it's not the primary treatment," Drucker said. "The primary treatment is anti-psychotic medication, and it can work wonders." Knowing he likely needed medication, Drucker referred Richie to a psychiatrist, who are in very short supply in Humboldt County, and virtually nonexistent in the valley, where the tribe relies on tele-psychiatry, which connects patients by live video to psychiatrists at the University of California Davis. The doctor put Richie on lithium, a mood stabilizer known to even out bipolar patients' mood swings. But lithium requires close monitoring and follow-up blood work to arrive at a personalized dose that works for the patient. "That makes or breaks the outcome and, in Richie's case, I don't think the right dose was ever arrived at," Drucker said. Richie's symptoms worsened at home. Leanne said his social circle began to shrink and his sleep patterns became more irregular. Leanne said she was able to get Richie in to see a doctor at Hoopa's K'imaw Medical Center. That doctor said he'd refer the teen to a tele-psychiatry session that never got scheduled. Frustrated and growing desperate, Leanne brought Richie to the coast to see someone at Humboldt County Mental Health but, according to Drucker, the doctor didn't have the relationship with Richie that would earn his trust and candor and ensure a proper diagnosis. "A lot of people know if they talk crazy, or talk about what's really going on, they're going to be put in (Sempervirens)," Drucker said. "They don't want to be put in S.V., so they're unrevealing about the extent of their psychosis and paranoia." That issue, Drucker said, can be compounded when talking about people from Hoopa who "have reason to distrust outsiders based on a sordid history of interactions with white people." When Richie's symptoms continued to worsen over the ensuing weeks, Leanne grew worried. She got her son on the waiting list for another appointment at Humboldt County Mental Health, which reportedly only had one child psychiatrist and patients waiting months to be seen. She said she pestered K'ima:w for a follow-up appointment, and even got Richie on waiting lists to see private practice psychiatrists on the coast and in Redding. But as the Estradas waited, Richie got worse. In December of 2014, he stopped sleeping. His behavior grew more erratic. Leanne said he stopped taking pain medication for his back and instead started smoking marijuana, which some studies have shown can intensify bipolar episodes. Carleana recalled seeing him one day in mid-December as he walked into the kitchen and hung "something random" from the pot rack and walked out. "I told him, 'I'm worried about you,'" she said. "He just kept telling me he was fine: 'Why are you worried about me?' I'm fine.'" The day before, Richie had been to his weekly appointment to see Drucker and Leanne said the psychologist had noted the boy seemed restless and agitated, and that he feared the lithium wasn't working. Leanne said Drucker told her to keep a close eye on Richie and to act quickly if his behavior continued to deteriorate. On Dec. 17, 2014, Richie had his last session with Drucker, who said the teenager seemed "clearly psychotic" and came across as tired and confused. "He wasn't well-oriented in time, day, date and purpose," Drucker said. "He was out of it." Drucker said Leanne also told him that Richie had recently taken to carrying around a knife, which was concerning but not alarming, given he didn't have a history of violence. Still, Drucker walked away from the session concerned. "My last words to Leanne were, 'If you even wonder about if he's a danger to himself or others, don't wait,'" Drucker said. Later that day, Carleana told her mom that she'd heard from someone that Richie had taken psychedelic mushrooms a few days earlier. Worried, she told her mom. For Leanne, this was the last straw and she called Sempervirens, where staff told her to bring Richie in for an evaluation. She said she brought the family together for a type of intervention to convince Richie to come with her to the mental health facility. It was a Wednesday, and the family gathered in the evening outside their home, readied themselves to talk to Richie and walked inside together. Carlos Estrada Jr. said Richie was coming out of the bathroom holding a golf club when the family walked in. He said his younger brother made eye contact with them, threw the golf club to the side as a diversion and ran by them out of the house. He got into Leanne's blue Nissan Sentra and drove away. That was the last time anyone in the Estrada family saw Richie alive. Panicked, Carleana and Leanne called 911 at 8:51 p.m. 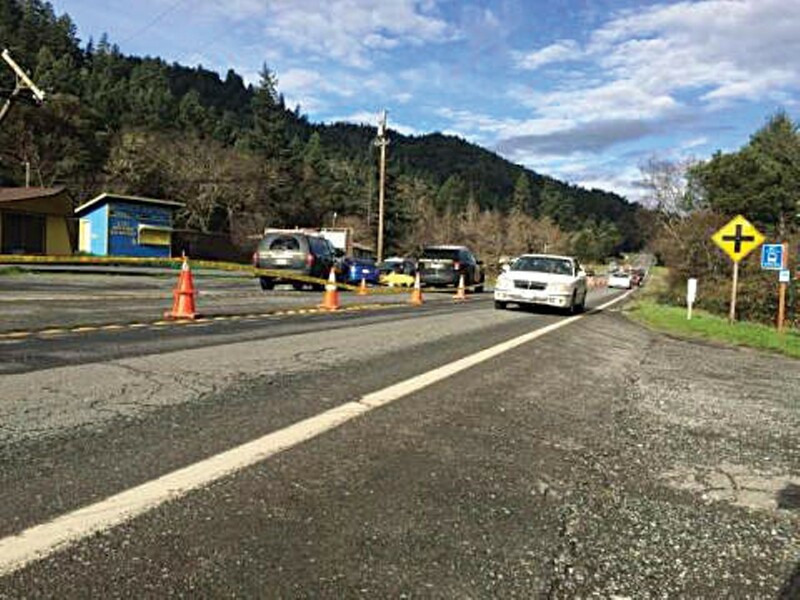 The call was answered by a California Highway Patrol dispatcher and then forwarded to a Hoopa Valley Tribal Police dispatcher. Carleana and Leanne reported that Richie, potentially under the influence, was mentally ill and in the midst of a manic episode and that he'd stolen the family car. Leanne said she was told by both dispatchers that an officer would respond to the residence to take a report, so she waited. But no one showed up and no one called. "Where was law enforcement for five and a half hours?" she asked calmly, sitting in her sister's house on a recent afternoon, the sun trickling through a shaded window and highlighting the streaks of gray in her black hair. "Where were they?" Officer Tim Gray was just two weeks into his new job when the call came in at 1:41 a.m. on Dec. 18. He'd been with the Highway Patrol for a couple of years in the San Francisco area, but had only recently taken on a resident officer post for the Humboldt Office in early December. 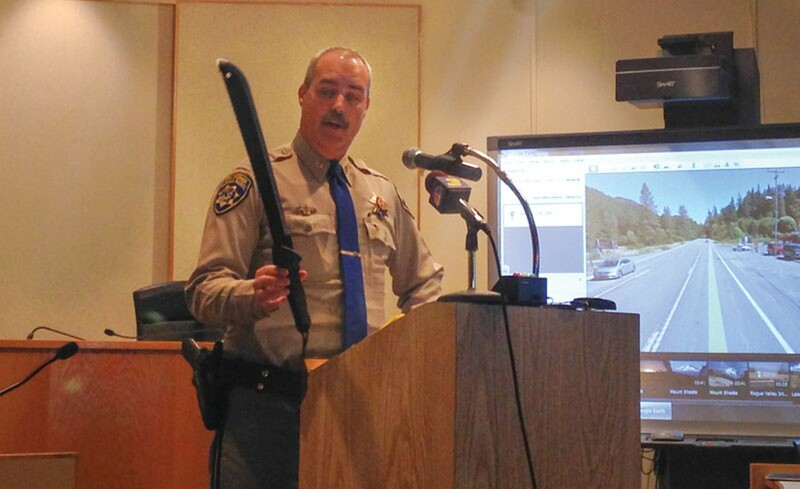 Through a CHP spokesperson, Gray declined to be interviewed for this story, citing an ongoing threat of litigation. After granting an initial interview request, CHP also declined to comment further on the incident. May said the resident officer doesn't get any special perks — no housing allowance or heftier base pay. The incentive, he said, is that the post allows an officer to really get to know the community he or she serves. It also brings the prospect of a lot of overtime pay. The way it works, according to May, is that the resident officers are assigned a regular shift and patrol but when they clock out at the end of a shift, they remain on call until the next morning. "I'd get home, get out of the uniform and put it away, and just try to relax," May said, adding that he'd often go to sleep at night looking at the phone on his nightstand. "It was hard for me to sleep, personally. You're just waiting for the phone to ring." After getting the 1:41 a.m. call from dispatch reporting that a blue car had crashed into a power pole east of Willow Creek about eight minutes earlier, Gray got in uniform and left the house. A little more than 20 minutes after the call, he arrived at the scene of the crash. He drove past the Sentra to survey for other damage or vehicles before making a U-turn, circling back and parking near the Estradas' car. According to the official report, Gray called dispatch to ask that Pacific Gas and Electric be notified of the downed pole. He didn't, however, call in the license plate number of the Sentra, which likely would have brought up the Estrada family's 911 call from the night before. The official report from the district attorney's office detailing what happened after Gray got out of the car is brutal, and contains witness accounts of Richie taking him by surprise with the 16-inch machete — a tool Leanne kept in her car to cut back brambles in her driveway to keep it from scratching the car's paint — and attacking Gray repeatedly until the officer opened fire. The Estrada family has a hard time reconciling the level of violence contained in the report with what they knew of Richie. "My son must have feared for his life," Carlos Estrada said, adding that his son was a gentle, non-violent soul. Exactly why Gray didn't have a better picture of the situation he was walking into remains somewhat unclear. May said CHP typically does briefings at the beginning of each shift; a commander will catch patrol officers up on the reports of interest and active be-on-the-lookout bulletins. Dispatchers will also commonly send out computer briefings over patrol cars' computer systems as well, May said. But, when an off-duty officer is called out, May said he or she doesn't receive the same briefings. May added that he "didn't know where the lapse of communication was" on the morning of Dec. 18. A blood draw taken from Richie's body came back positive for marijuana and sub-therapeutic doses of lithium. Humboldt County Deputy Coroner Trevor Enright said it's impossible to know whether the low lithium levels were due to Richie's not having been prescribed a sufficient dose, his going off the medication or because some of the drug had already cycled through his blood before the test. One thing that is certain, Enright said, is that no traces of psychedelic mushrooms were found in his blood. Wile this means Richie wasn't under the influence of the psychedelic substance at the time of his death, it doesn't rule out the possibility he'd taken them days earlier, as the drug generally leaves the body within a matter of days, if not hours. In a phone interview from his office on the coast, Drucker said Richie's death hit him hard, and pointed to it as part of the reason he's now semi-retired and no longer working in Hoopa. "I felt like, if I have to deal with truly psychotic people and I don't have adequate resources and backup, then I can't do it," he said. "I care about my clients." Drucker said it's clear psychiatrists are in demand countywide, but the need is critically acute in Hoopa, which really needs a resident psychiatrist to learn the culture and build relationships. "That would do a tremendous amount of good in the valley," he said. "You need a consistent relationship, a trusting relationship," he said. "Until we have that, there are going to be more tragedies like Richie's." Sitting at the dining room table of her sister's house with Richie's pictures spread across a table in front of her, Leanne Estrada said she wants to honor her son's life through The Richie Effect, a nonprofit the family is forming. 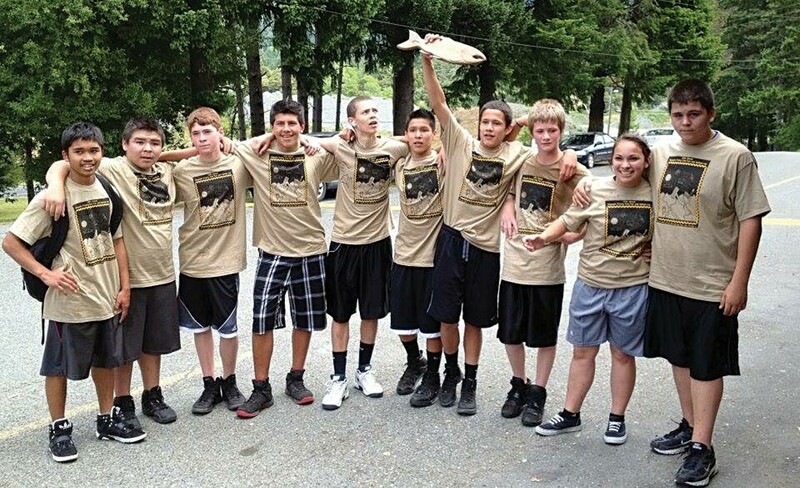 Once up and running, she said the organization has plans to build a skate park in Hoopa to give young people a healthy outlet, and is looking to invest in health education and music programs. Ultimately, Leanne said she believes Richie came to this world to make it better and she's intent on carrying that mission forward. But she's also still looking for answers. She wants to know exactly why neither CHP nor the tribal police responded to her 911 call, and why Gray — a new officer to the area — didn't receive word that there was a juvenile, potentially on drugs and in a state of mental health crisis, driving unlicensed in a stolen vehicle. She also wants to know why none of the psychiatrists she contacted could make time to see Richie as his mental health spiraled out of control. "I want to make sure people understand that this could happen to you," she said, pausing. "This is not an isolated thing. ... This can't continue anymore. The mask needs to come off." Leanne's voice cracks and she chokes back tears as she describes the months immediately following her son's death, a dark period in which she said she couldn't manage to do much of anything. But now, 10 months later, she said she's connected with a network of other people who have lost loved ones to officer-involved shootings. She feels strong now, empowered to fight for information until she understands exactly what happened to her son. 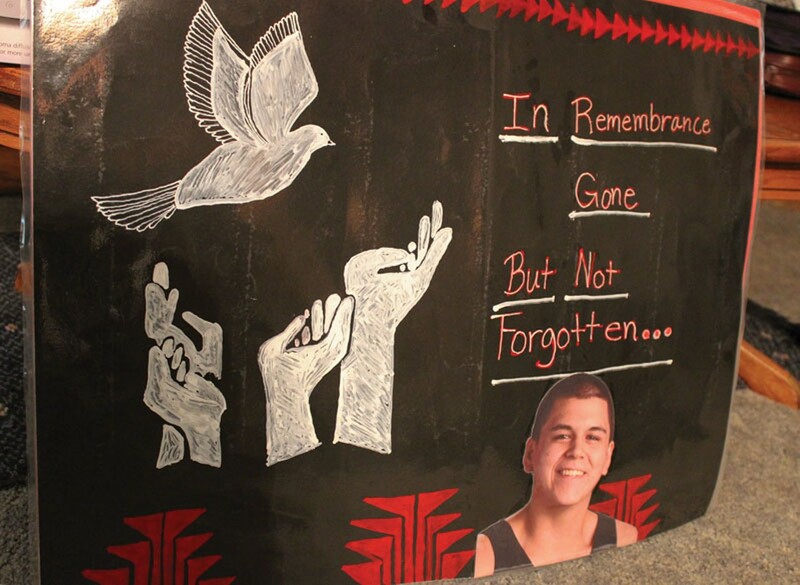 Leanne said the family still hasn't seen autopsy and police reports, or other evidence from the investigation, all of which it has repeatedly requested and now is the subject of pending California Public Records Act requests. 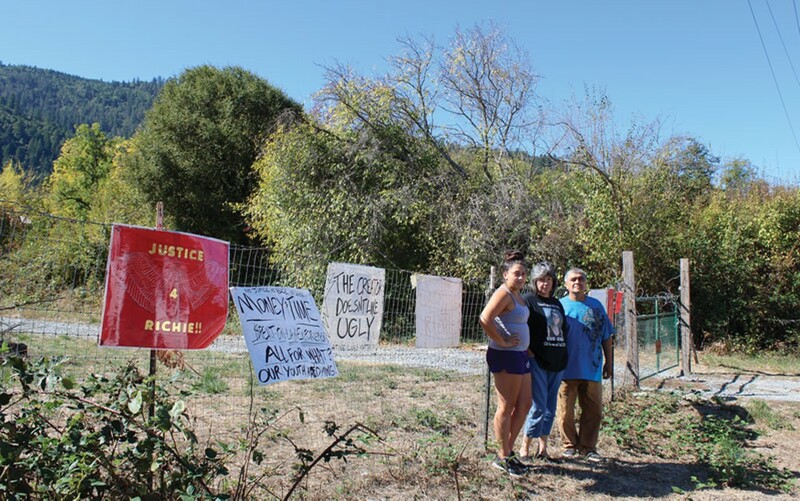 Leanne said her fear is that her 911 call was dismissed by officers and dispatchers alike as just another report of "some Hoopa boy" acting out. A lawsuit, or lawsuits, may ultimately be the only way to get everthing out in the open, she said. "It takes a strong person to follow through with that — luckily I am," she said. "If that has to become my life, it will become my life. ... My son was not just some passing Hoopa boy."